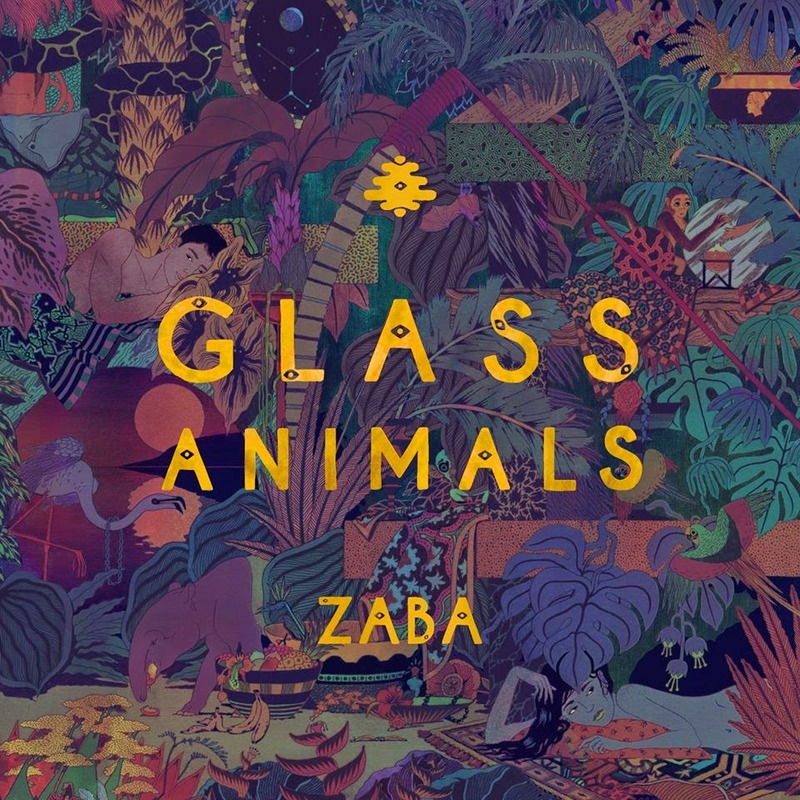 Where do you even begin with Glass Animals? I mean, to say they were an exotic bunch would be slightly understating. Armed with their concoctive blend of tribally infused melodies, the London based quartet deliver a mystifying array of pop sub-culture, sounding nothing like anything you've ever heard before. With much acclaim from their 'Leaflings', self titled and 'Gooey' EP's, the band look set to turn heads even further following in quick concession with the preparation of their much anticipated 'ZABA' LP. With lead man Dave Bayley only coming to the realisation of forming a group after a bout of medical school induced insomnia, it's hard to believe how direct and visioned the record has fructuated. Taking us on a journey through an amazonia-cloaked dreamworld the band's ability to craft such hypnotising, silk-smooth compositions has been nothing short of mesmeric, so excellently demonstrated with album opener, Flip. Through its tribal foundation it doesn't take long before your magical boat ride excavation leads you in to the deep dark jungle as strange animalistic sounds chime amongst its canopied synths and percussion. There ain't no turning back now, you're just gonna have to ride this journey out. With the band's inspiration rooted deep within London's bass music scene it's no wonder tracks like Black Mambo, Gooey and Hazey divulge such pulsating rhythms with cascading ambient percussion. I guess much like any down-tempo record it'd be all too easy to write this off with a monotonous tone, but dig a little deeper and you'll unearth a whole world of musical influence, all waiting to burst out and grab you if given a chance. Telling its very own story of all things weird and wonderful set amongst its sub-equatorial landscape the record provides the perfect soundtrack to your zoned out state with dark lyrical content touching on themes of regret and guilt to uncertainty and grief, no stone's left unturned. As Bayley proclaims, "The sound of the record is like a backdrop of man-made wilderness…". And he ain't wrong there, all weaved together in such a decorative manner. Approaching its mid-section Walla Walla sees the band channel their most mystifying efforts yet opening with the trundling of Wild Beasts inspired percussion before the enchanted vocals of Bayley creep through the mix on a hotbed of sinister sounding synths. By the track's midway point an earth shattering bassline's unleashed with enough force to crack the most reinforced of glass (pun not intended) before it swells in to a multi-instrumentalist jam of epic proportions. Elsewhere, Toes' droopy guitar led rhythms bring a soulful edge to the record whilst its swaying nuances deliver a rich artistic performance of sublime quality before melting in to the endearing Wyrd. With elevated vocals breathing an airy life in to its back bone the track's bubbling nature quickly gives way to a transcendental darkness as the layers break away to leave you with the feeling of a contempt loneliness. And that's the thing with ZABA. Nothing is as it seems with each song evolving over its duration in the most fluid of like way. Engross yourself and you'll be rewarded to the highest degree as you become fully submerged in all of its worth. As the album moves in to its penultimate stage, Cocoa Hooves sees even further demonstration of this distilling template the band work towards as its strummed guitars become consumed amongst the quartet's vast palette of swooping electronics. With plentiful RnB grooves running through the record's veins I guess it seems only right ending with the soothing, almost falsetto embraced JDNT. An expansive crooner lined with gorgeous scintillating synths and a whirlpool of super-fascinated melodies, the album's brought to full closure on its mythical journey like no other. Head-mashing and quite simply sublime 'ZABA' is the kind of record that one play doesn't serve justice. It’s the kind of subtle, head-nodding masterpiece that’ll treat the hips as much as the ears with its spellbinding aura.